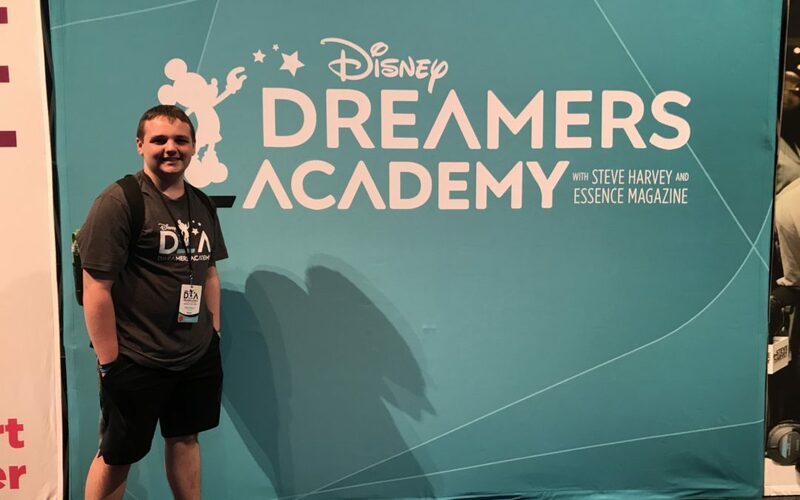 When we received the letter in December notifying us that our son, who had applied to the Disney Dreamers Academy back in September, had been one of the 100 high school students across the nation accepted as a 2019 Dreamer, we were beyond ecstatic. 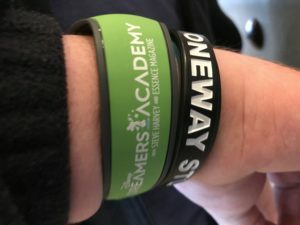 We immediately began to do more research about what we could expect from the four day immersive event which takes place in March of each year. 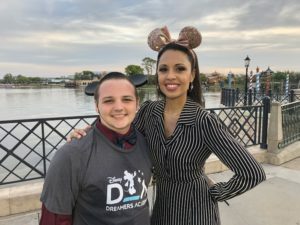 If you aren’t sure exactly what the Disney Dreamers Academy is, you can read my previous article detailing how you can apply here, and please note, applications are already open, so if you have a high school student who has a passion about what direction they want their life to take, please encourage them to apply. The more we searched the internet on what to expect, the more I realized there is literally no information out there about what the parent or guardian traveling with the Dreamer can expect. We found many articles and youtube videos to help my Dreamer understand what was coming, but nothing to explain what was coming for me, his mother. I did find a page on facebook which was started by a mom of one of the other 2019 Dreamers, so I was able to converse with other parents, but for the most part, we were clueless. This is why I really wanted to talk to you today. I want some type of resource out there for the parents/guardians of the 2019 and beyond Dreamers so they can get a little bit of an idea of how things will go. I’ll begin with the emails that come before the trip actually takes place. I feel like the Disney reps were pretty awesome at sending emails containing flight and resort information. They did ALL of the leg work on booking flights, sending Magical Express tags, reserving Disney Resort rooms, basically everything. They also made sure to let the parents know that if there were any questions, not to hesitate to email back and they would answer as quickly as possible. I put them to the test on this one twice, sending in my questions, and they were very quick to respond and let me know what I needed to know. It’s important to note this about our flight tickets. We were flying Delta, but I know some others were flying American Airlines. If you are bringing baggage to check, you WILL have to pay for this yourself, it will not be included in the complimentary airline tickets for certain airlines such as Delta and American. Whichever airline you are booked with, do your research and find out what is included in the base ticket. I don’t think anyone flew via South West, but I do know checked baggage is included with them, so it’s important to check with your airline and make yourself aware. 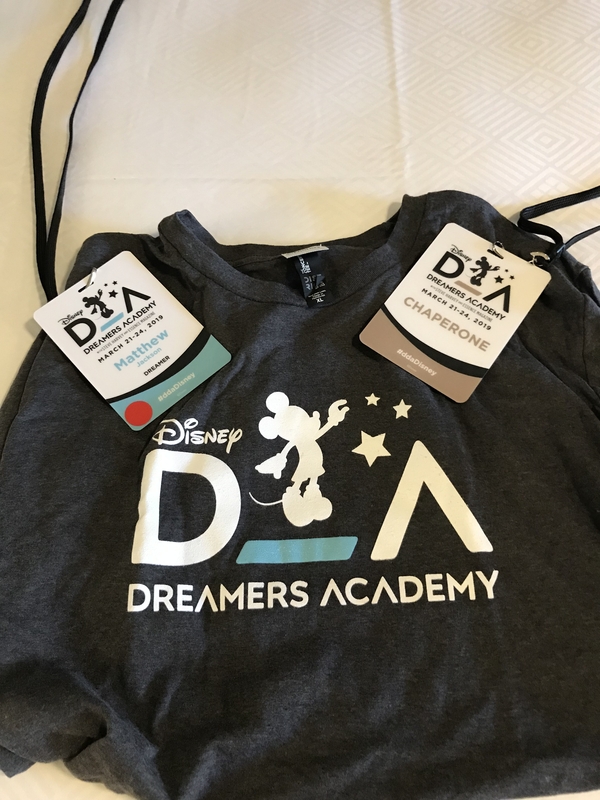 Fast forward to our first day of Disney Dreamers Academy. Armed with the flight details Disney sent, everything went smoothly arriving at the resort. 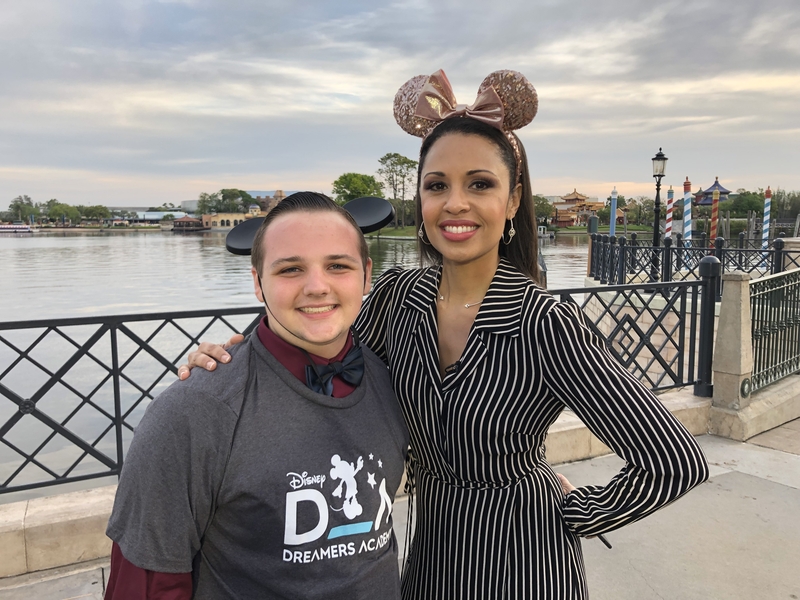 My son and I were immediately greeted by his Disney Dreamers Academy (DDA) representative, Mr. Greg Clayton. Mr. Greg was amazing! Each rep was assigned to four to six Dreamers, so they never had a group so large that they couldn’t keep them together. 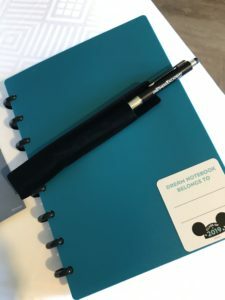 We Checked into the resort (we were put in Coronado Springs and it was amazing, it does appear to be a different resort each year though) and received our Magic Bands and welcome package. This package contained one $50 Disney Dining card for my Dreamer and one $100 as well as one $50 Disney Dining card for me, these were to cover the costs of all meals during our stay, so make sure you budget wisely and try not to eat at too many table service meals to ensure it will be enough to last the four days. The Dreamers only get $50 because they really only needed to pay for one meal and a couple of snacks, the rest of their meals were eaten at the building where all of the events took place. This pack also included an itinerary for the Dreamers as well as a parent/guardian itinerary. 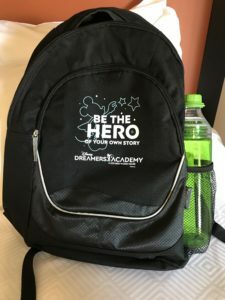 We were told our room was ready as well as where we needed to go to find the Disney Dreamers Academy hospitality rooms so my son could pick up a few more items and instructions. We also had some extra time to eat lunch before we were schedule to depart for our first Dreamer stop. We quickly ran and dropped off some items in our room and ran downstairs where the hospitality rooms were located. This is where they gave each Dreamer a special Dreamer backpack, filtered water bottle (we all know how important it is to stay hydrated at Disney), a notebook, pen, business cards (yes, their own business cards to hand out), a battery to recharge those phones, and lanyards for the Dreamers and the parent/guardians to wear at all times. It’s very important to wear the lanyards, they are your ticket on the buses to the events. After enjoying a quick lunch at our resort, we went to meet everyone else at our assigned building where several buses were waiting for us right there behind the building. If you have ever had to fight for a seat on a Disney bus to the parks, you understand what a treat this was, cushioned seats, tv screens and a guaranteed seat for everyone. Our first stop of the day was Magic Kingdom as the Dreamers were scheduled to lead the pre-parade that day! 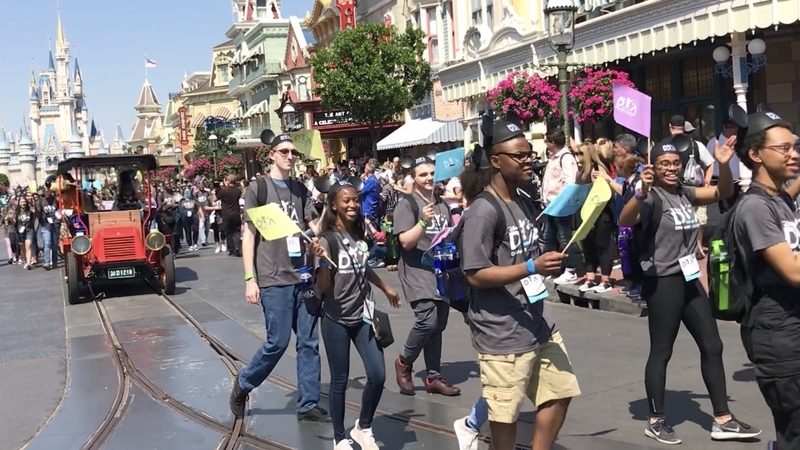 Watching my son walk in a Disney parade was absolutely amazing! After this, we were free to ride attractions for about an hour and a half before we had to meet at the bus to head to our next stop. From there, we headed to Epcot, brought in through a back entrance behind World Showcase. I’m such a Disney nerd, seeing behind the scenes was a thrill for me. Tucked away behind large doors in a spot in World Showcase is a huge event building and this was our destination. We headed in to begin the Welcome Reception Party. It was really fun and exciting and really pumped the Dreamers up. I want to let you parents know, however, at this reception, you will not be seated with your dreamer. As a matter of fact, from this point until the graduation ceremony, you won’t see much of the Dreamer at all, but don’t worry, they are having the time of their life! After the reception, everyone was treated to a special viewing of the new live action Dumbo movie at Disney Springs AMC theater. The movie wasn’t even released yet, so this was pretty cool. From here, it’s time to head back to the resort and try to get some sleep. These event days are long, and you can fully expect to not get much sleep at all, just be forewarned. We didn’t get in bed until well after midnight our first night, which was tough when we had to get up at 4:30am to get to the airport. 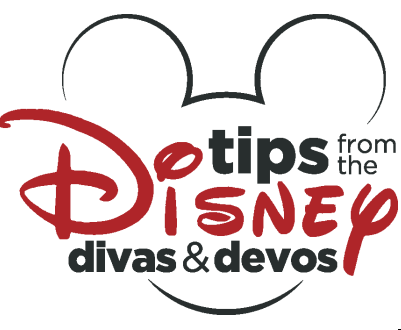 Then next day, Dreamers and parent/guardians depart for Epcot separately. 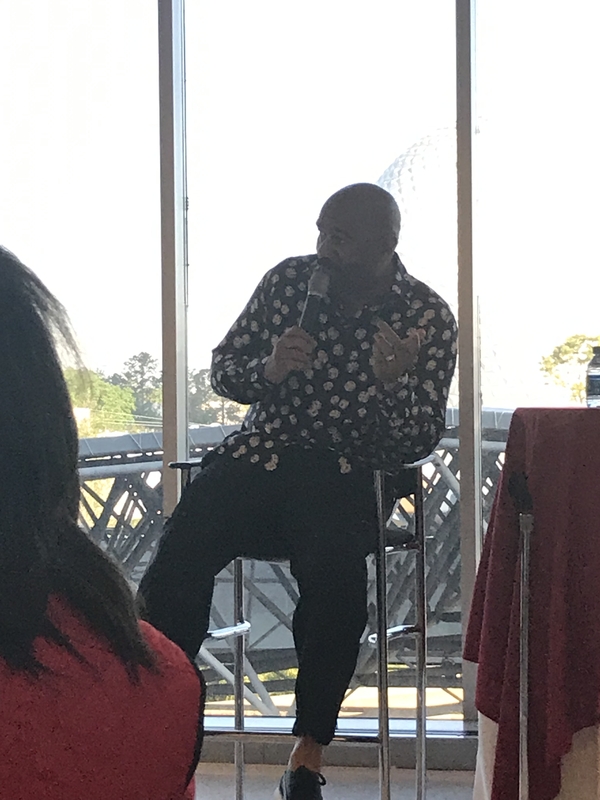 Dreamers head to the event building, while we were treated to breakfast at GM Test Track Lounge with none other than Mr. Steve Harvey! He was an amazing speaker and of course had us laughing at his jokes as well as taking in his wisdom and advice for those of us trying to encourage our Dreamers. After breakfast, we had a break of about 3 and 1/2 hours to have fun on rides. I was able to get quite a few good rides in before it was time to head to the event building behind World Showcase. At this time, Dreamers headed for their Deep Dive sessions to work with Disney professionals on doing the craft they are passionate about. 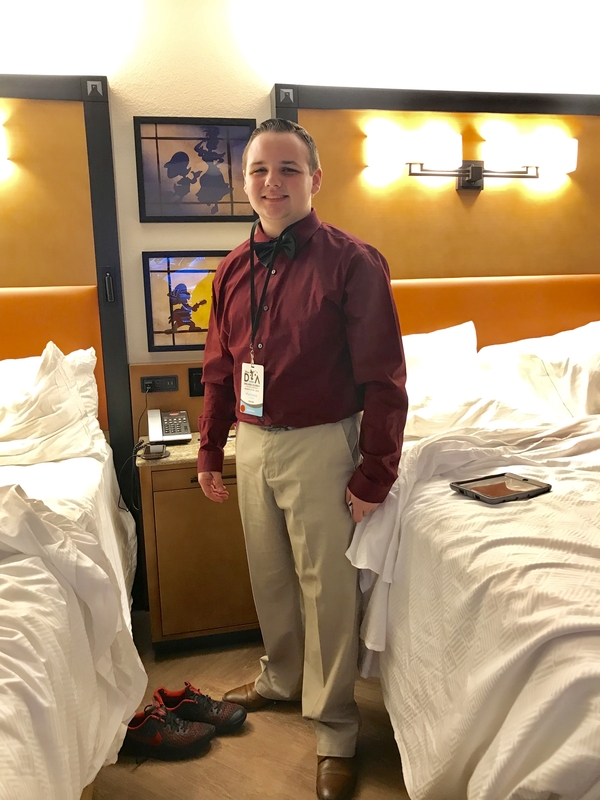 My son headed to the Roy Studio to work with Disney Entertainment Specialists, he was thrilled! 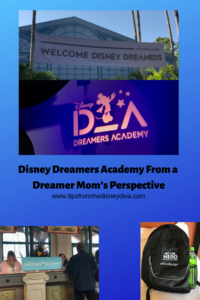 Parents/guardians were treated to our own session with speakers who had great words of wisdom for those who are “Raising a Disney Dreamer”. This session ended shortly after 3pm and parents/guardians were free to enjoy the rest of the day doing whatever they wanted. While some went to take naps, the Disney fan in me headed to Animal Kingdom to hit Flight of Passage as many times as I could. Saturday came with Dreamers leaving for the event building at 6:30am, while chaperone’s didn’t have to leave until 9:20am (I told you that you wouldn’t see your dreamer much until the last day). Again, we heard from some absolutely amazing speakers, I promise you, their words have a profound effect on you. You see, this event is NOT just about your dreamer chasing their dreams, it’s about you as well. You will not leave this event unchanged. After the morning sessions, a boxed lunch was provided before one more session. This session ended around 2pm. Previously, we were offered the option of four different afternoon sessions taking place at Disney’s Yacht Club Resort. We were required to preregister for these events. 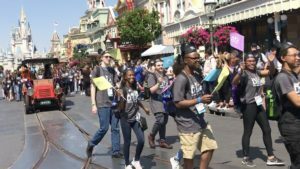 During this time, Dreamers had a chance to go to Hollywood Studios and ride some rides together. I decided to forego the afternoon sessions. I’m sure they were amazing, but I was hoping to see a minute of my dreamer having fun with new friends. Unfortunately, I caught him as they were getting ready to head back for more of their sessions, so I headed to ride some rides as they departed. I also managed to squeeze in some more time at Magic Kingdom that evening. Late that night, as I waited for my Dreamer to return to the resort, I received a text that he had to be on the bus by 5:30am the next morning because he and a few others would join Adrienne Bankert on Good Morning America that morning! Guys, the press is all over this event! Sunday dawned and it was graduation day! I sent my Dreamer off super early to do the GMA thing, while I headed to go ahead and check my bag at the resort provided airline check in area. The parents and Dreamers who didn’t have to leave early departed for the graduation ceremony. 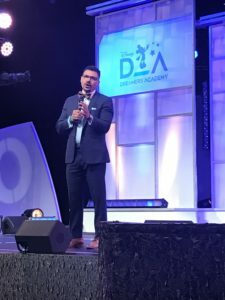 We actually got to sit with our Dreamer at this event. 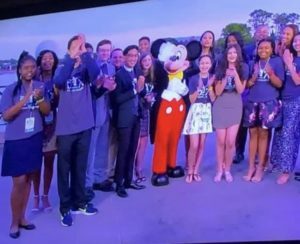 The ceremony was amazing, with Grammy winning artist Yolanda Adams singing, George Kalogridis, president of Walt Disney World speaking, and Steve Harvey speaking again as well. 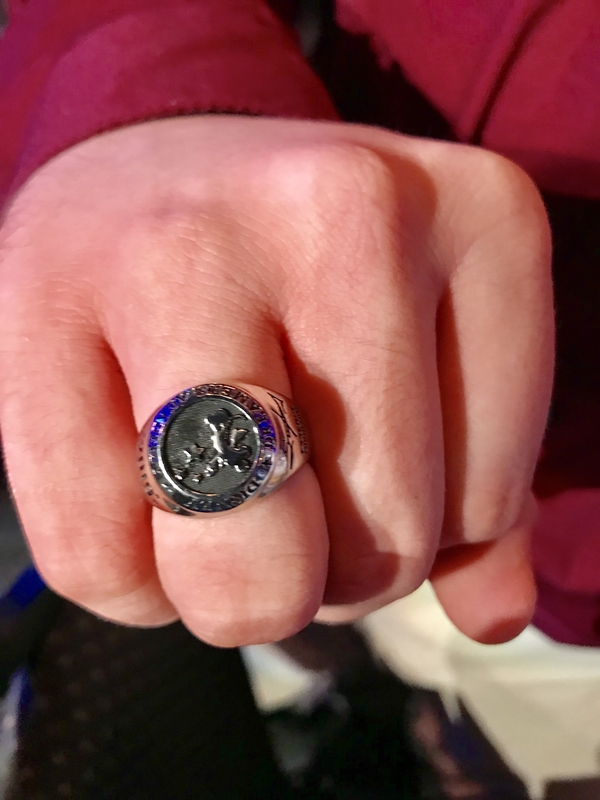 The ceremony ended with the chaperone placing the special Disney Dreamers Academy graduation ring on the finger of their Dreamer, and a special performance from the cast of Animal Kingdom’s Festival of the Lion King. From there, Dreamers were taken out for a class photo with Steve Harvey while the chaperone’s sat for one last parent panel round table featuring Ms. Micki Taylor, Mr. Alex Ellis, Ms. Sonya Jackson Myles, Ms. Lisa Nichols and Mr. Jonathan Sprinkles. 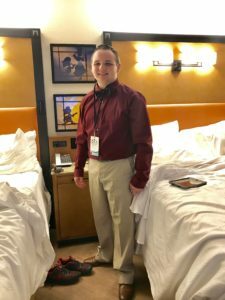 After this, we had to quickly depart for our resort as we were scheduled to catch the Magical Express within the hour, I was actually stressing here, because the event lasted a little longer than scheduled and I was afraid of missing Magical Express. I needn’t have worried, we made it with time left over for my Dreamer to change into more casual clothes. Each and every one of these speakers, Mr. Steve Harvey included, are very spiritual people who believe in God. They infused their faith into every talk. If you are offended by this, don’t allow your teen to apply, but you will be doing them a very great disservice by holding them back from this. Even the non-believers at this event left feeling emboldened, encouraged and empowered to take on the world. The trip is paid in full for the Dreamer and ONE chaperone, which the dreamer names during the time of the application. You are welcome to bring others with you, but you will need to pay the difference, as the free trip is, again, only for the Dreamer and one chaperone. 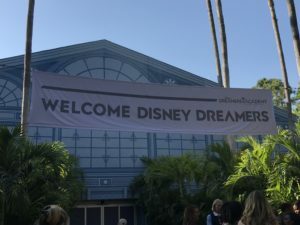 Also, any additional guests that pay to come with the Dreamer and chaperone will NOT be allowed to attend any of the events at the Disney Dreamers Academy other than the Dreamer’s graduation ceremony on the last day, and those guests will need to pay a fee to attend that ceremony, I believe the graduation ceremony was about $65 for guests to attend. The rules are very clear on this, they absolutely WILL NOT allow anyone other than the Dreamer and their chaperone to attend any of the events other than the graduation ceremony. 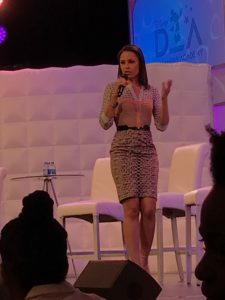 I reiterate because, despite the clear rules stated, I noticed several extra guests attempting to attend some of the panels only to be turned away. Event speakers included: Princeton Parker, Micki Taylor, Yolanda Adams, Dr. Alex Ellis, Dr. Steve Perry, Miles Brown, J.D. 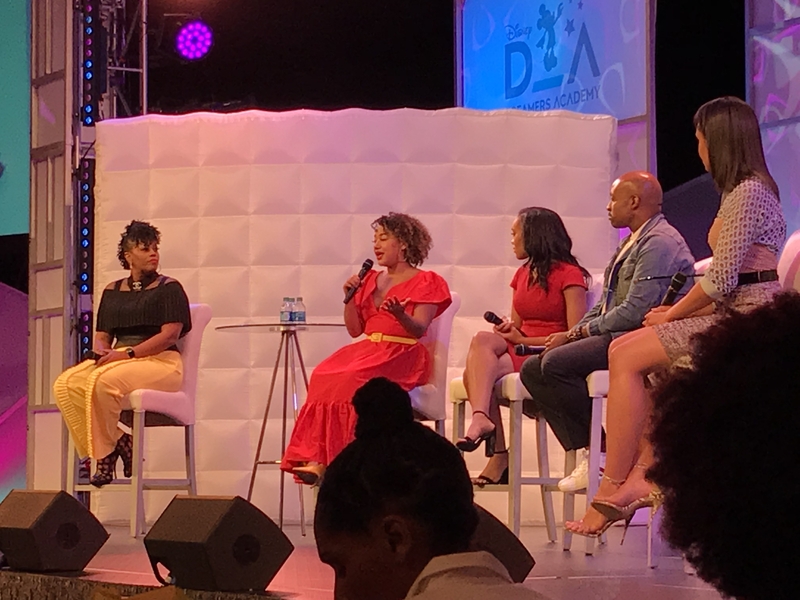 McCrary, Sonia Jackson Myles, Adrienne Bankert, Mike Muse, Lauren Simmons, Courtney Quinn, Becky A Davis, Lisa Nichols, Chef Jeff, Brandi Harvey, Carly Harvey Raymond as well as many others who only spoke to the Dreamers that I didn’t get to see. Your magic bands WILL be preloaded with 5 anytime/any ride FastPasses for Animal Kingdom, Epcot and Hollywood Studios, as well as 10 anytime/any ride FastPasses for Magic Kingdom. Any ride ya’ll. I rode Slinky Dog four times in a row! I rode Flights of Passage four times! I rode Seven Dwarf’s Mine Train several times, Space Mountain, Big Thunder Mountain as well as others, all using these FastPasses. Of course, this is subject to change for any given year. Guys, whew! I had no idea what was in store for me, the parent, on this trip. 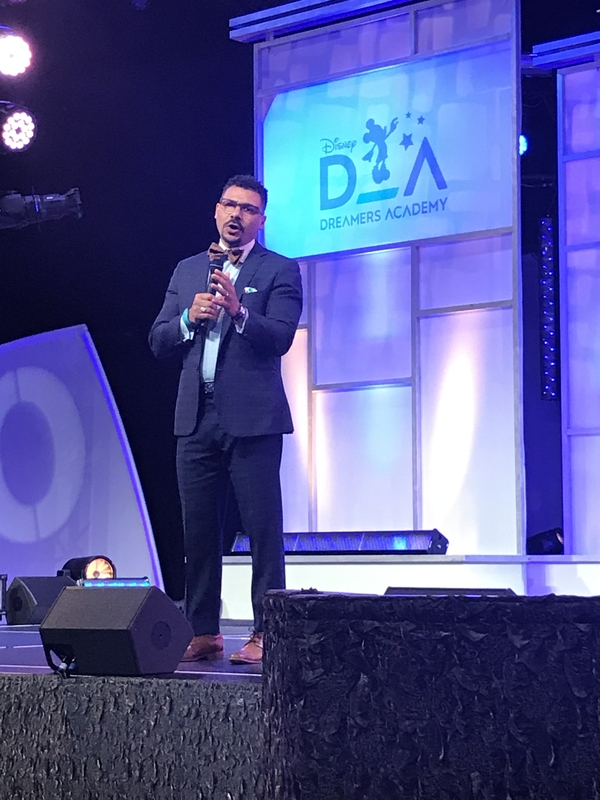 I kept reading that it was life-changing for the dreamer, I never imagined what an impact it would make on the parent/guardian. Please, please, PLEASE, if your high school teen, ages 13-19, has that dream, that passion for a goal they are trying to reach, encourage them to apply. 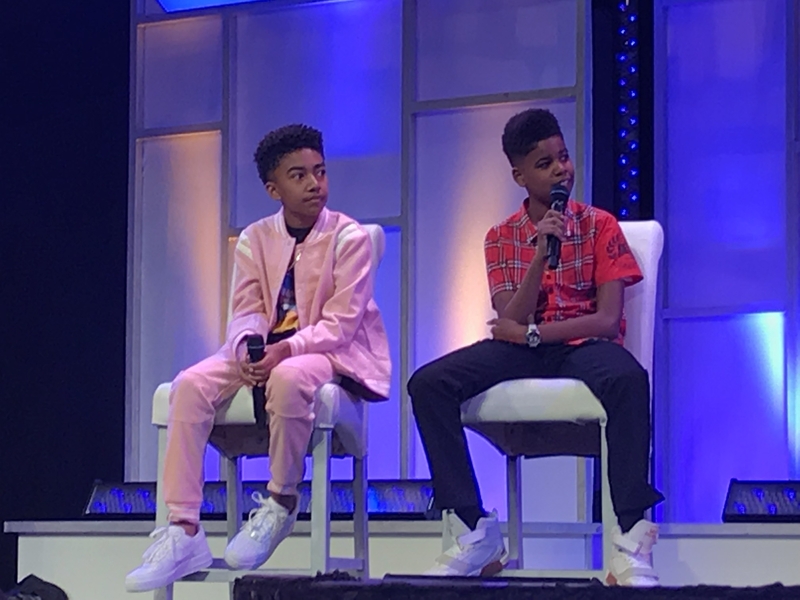 We never expected, out of an estimated 10,000 students, our son would be one of the 100 chosen, but he was, and we are forever humbled and grateful for the opportunities he and I experience during this jam packed four days. His life is forever changed by it. My life is forever changed by it. Every chaperone I spoke with was forever changed by it. 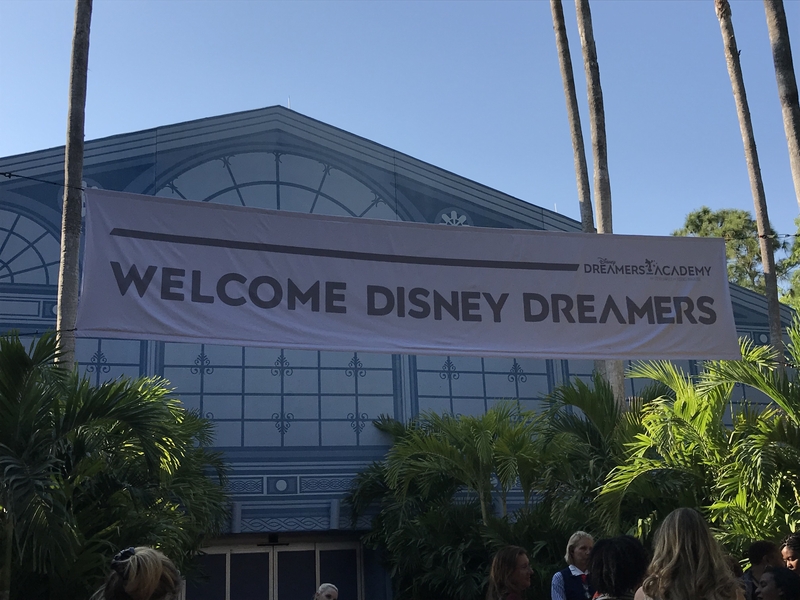 Be sure to come back tomorrow, to find out more about Disney Dreamers Academy – from the Dreams perspective!